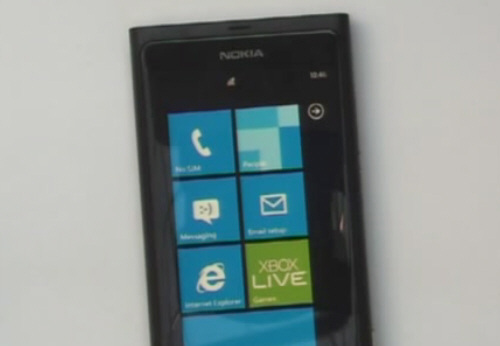 OK we saw a post of some supposed Nokia Windows Phone as found by another blog. I thought it was a fake until I was given a 21 minute presentation starring this little beauty. Engadgetalready has a post of it. We did not want to be the ones to upload and reveal the video but having said that once that is out, it’s the elephant in the room we can’t ignore. So is security lacking? Why on earth does elop ask for all cameras to be turned off if there’s a big massive one pointing at him and then suddenly to the main demo screen? Is this an intentional leak to move away attention from MeeGo already? It’s like it’s a whole joke the whole “it’s super confidential and we do not want to see it in the blogosphere” and it’s here in crystal quality. Someone has posted a snippet of it below. « Video: Nokia N950 Free of Charge for Developers (to make apps!) Qt for S40 driving this massive ecosystem.